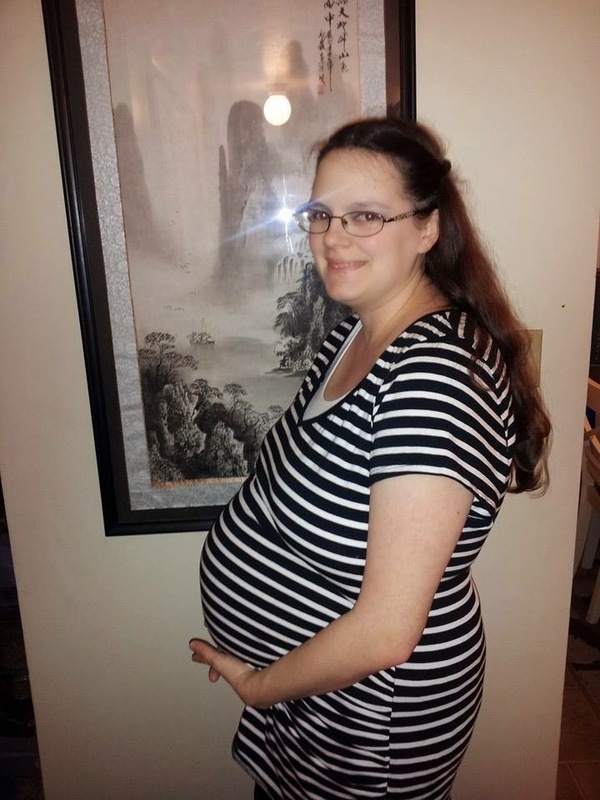 I haven't really shared this, but we had lost four pregnancies before we had Heidi Anne. After she was born were told that I had suffered some trauma. That trauma combined with my ill health would make getting and staying pregnant again nearly impossible.When we got married we wanted to have 2-3 children. However, after all the losses, we we thrilled to just have her. We quickly came to terms that we were going to be an only child family. 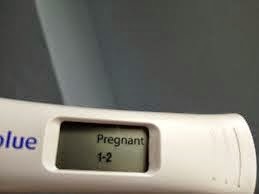 Yeap, Third Test and Still Pregnant. Travel back to June 2014 with me. Char was in nursing school full time, working full time, studying full time, and sleeping sparingly. Our apartment lacks A/C, so when I kept getting sick I blamed the heat. Even when I was 2 weeks late, I still blamed the heat. (Of course, Char knew better the day I was late). Finally, I caved and took the test. It was positive, as you can see, I was in shock, fear, excited, and surprised more than anything. 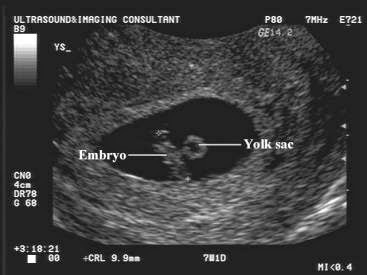 Towards the end of July we had the first OB appointment. I was 7 weeks along. We saw that little gummy bear sized baby. The anxiety increased by the second as they started to look for the baby's heartbeat. I was holding my breath the whole time until I heard that strong beat, First words out of my mouth were "Thank Heavens!" Then came the unrelenting "morning" sickness. I was constantly sick (pretty much until the day the baby was born).The slightest off putting smell made me sick. Things I liked, I couldn't stand anymore. For example, bananas, Normally I LOVE them. I love Banana Nut Muffins, bread, frozen bananas. Not anymore. Char helped with the cooking, when he was home, otherwise it was the same 5 meals or sandwiches. Around week 15 it only got worse. Heartburn got thrown into the mix. It was rather frustrating to have heartburn when I didn't feel sick. It was a nightmare to suffer from both simultaneously. Sometimes eating was the furthest thing from my mind. One day I said to Heidi (half joking), "Tell me to eat something." Her response? "Momma, eat something or else the baby WILL DIE and Daddad will be SAD and CRY." --I did eat some crackers after that one. In late September I found my saving grace - EGG NOG!! How I craved it! Bonus it was the ONLY thing I could drink that didn't make me sick nor gave me heartburn! I was so lucky a majority of my pregnancy was during the holidays. I had at least a quart a day (if not more) of egg nog. I was so disappointed in early January when my ample supply vanished. We found out at 20 weeks we found out the baby was a boy. 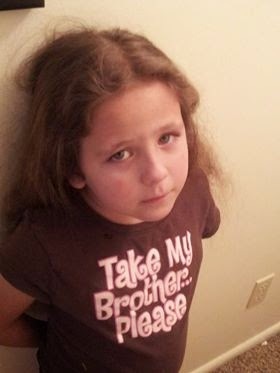 When we reveled this to Heidi Anne she said "NO Daddy, you're wrong! It's going to be a little sister, I want and have prayed for a baby sister. We told her "Sunshine, the doctor says it's a boy." "They're wrong!" she cried out. Then she came to me and said "Momma, I want you to find a new doctor, one that says it's a girl! Eventually, she came to terms with having a little brother. 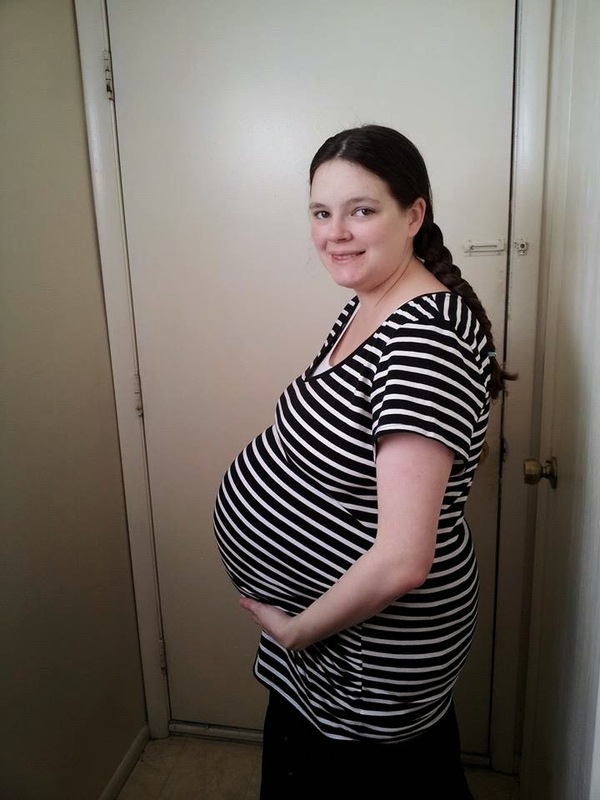 Around 30 weeks, I was in a car accident, which triggered contractions. I got to stay in the hospital for 24 hours for observation. The plus side, I got a trail run of how my delivery would go. The down side? The Braxton-Hicks contracts never stopped. They stayed around 3 per hour - for 6 weeks. What made them finally stop? Our little guy decided he wanted out. He was born a month premature at 36.3 weeks along. Oddly enough, the exact same gestation age as Heidi Anne. However, the arrival of this new little one is another story. 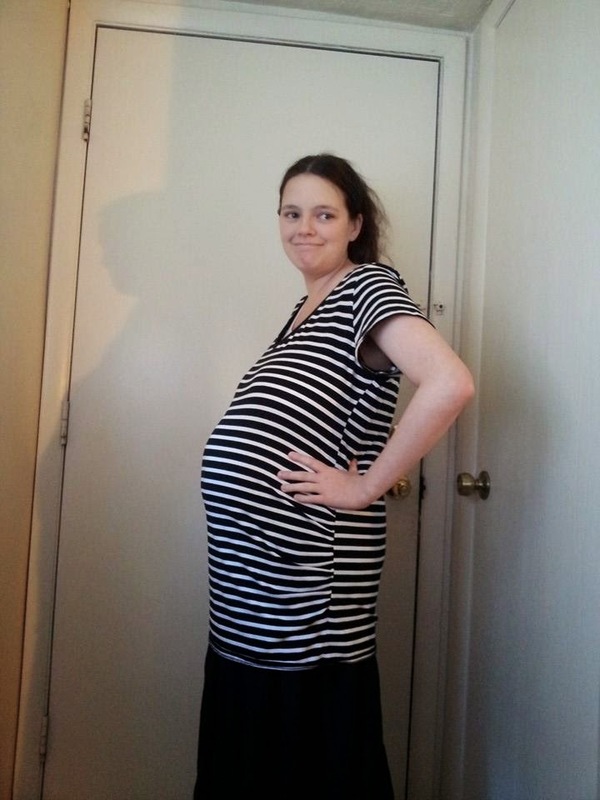 P.S This is the last picture of me pregnant, my water broke 5 days later!